Charles Nam, CEO of Bluestone America, announces the expansion of the Bluestone Preferred Wealth center to include Wealth Management & Insurance Services. Bluestone Wealth management was created in 2005 and offers financial services utilizing insurance products, asset allocation, alternative investments, and estate planning. Investment services offered through Bluestone Wealth Management & Insurance Services include many investment programs such as private money management, brokerage, Unit Investment Trusts, Real Estate Investment Trusts, Direct Participation and advisory programs. Bluestone Preferred Wealth Center. The announcement was made by CEO of Bluestone America, Inc., Charles Nam who is also the founder of the Bluestone Preferred Wealth Center. Bluestone Wealth Center specializes in asset management, securitization, alternative funding and new asset class. It now encompasses five different divisions with the addition of Bluestone Wealth Management and Insurance Services, Inc. with the other divisions being Bluestone America, Preferred Wealth LP, Bluestone Holdings, and Bluestone People Foundation. “The integration of Bluestone Wealth Management & Insurance Services into the Preferred Wealth Center, will allow access to other branches of the Bluestone Corporation and make a vast array of options much more accessible to the client and/or investor,” said Charles Nam. “We are excited to watch all areas of our company connect under one roof. To make the most of the clients financial goals and objectives, we focus on the aspects a customer values to help them make the most of their resources. It would be beneficial for any individual or investor looking for long term protection to shield themselves in this tumultuous financial cycle due to current and unforeseen events. Our wealth management services are designed to create a sustainable secure portfolio and our insurance services compliment the portfolio with individual and business protection, not only financially but in terms of ones well being., said William Soady President of Bluestone America, Inc.
Bluestone Wealth Management, created in 2005 by Mr. Nam, was designed to offer services to assist high net worth clients and investors alike with the desire to aggregate wealth as well as conserve capital. The company is a provider of an array of specialized and proprietary financial services utilizing insurance products, asset allocation, alternative investments, and estate planning. Mr. Nams unique planning and techniques allow him to specialize in a number of tax deferred, qualified and non-qualified programs, wealth accumulation and asset allocation. Mr. Nam expanded his operations in 2008 creating Bluestone America, Inc. to act as the general partner with Preferred Wealth LP which manages private equity funds utilizing Longevity Asset Fund portfolios. Mr. Nams incentive is to provide project funding for these portfolios. Bluestone Wealth Management, Inc. is a service dedicated to assessing ones financial objectives including review of insurance, investment portfolios, income and liquidity needs. The division is designed to examine all of ones options through careful coordination in seeking out the right strategy and to utilize that strategy effectively. The services offered are a range of products and services which adapt to an investors goals and expectations. Investment services offered through Bluestone Wealth Management & Insurance Services include many investment programs such as private money management, brokerage, Unit Investment Trusts, Real Estate Investment Trusts, Direct Participation and advisory programs. The company offers guidance in familiarizing a client with their investment strategy and portfolio while monitoring their situation as it evolves. Annuities offered have become more desirable due to the fact that people are now living longer, where in turn, more money will be allocated and spent during retirement. A tax-deferred investment for a guaranteed stream of income for a certain number of years or for life, may be worth considering. Bluestone Wealth Management advisors create customized trusts designed for estate planning. Bluestone America is a conglomerate of United States and offshore-based corporations whose focus is asset management, asset based project securitization funding and acquisition of alternative funds. The members of the management and advisory boards of the Bluestone group of companies have broad based expertise in financial business development and banking in the Middle East, United States, South Korea, Brazil, Taiwan, Hong Kong, China and other key international financial and business centers. Bluestones management and advisory board members are multi-cultural representing Asia, South America, North America, Africa and the Middle East. Bluestone America has developed various methods of securitizing asset based long-term real estate development projects using Non-Correlated Longevity Assets. These methods and techniques are proprietary intellectual properties developed and owned by Bluestone America. The proposed bill expands Vermonts captive laws, to include allowing cells within a sponsored cell captive to be formed as incorporated protected cells. Vermont currently allows protected cells created by contract alone. This presents another option for a cell owner in addition to cells created by contract alone, said David Provost, Deputy Commissioner of Vermonts Captive Insurance Division. Weve heard from the captive industry that they wanted the option of having incorporated cells. This legislation does just that, without limiting any rights or protections afforded by cells created by contract. 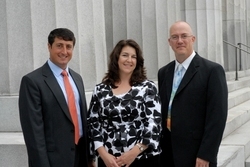 After a strong 2010 with the licensing of its 900th captive insurance company, the State of Vermont is proposing changes to the Captive Insurance law in the legislature as part of its annual enhancements to its captive statute, according to the Department of Banking, Insurance, Securities and Health Care Administration (BISHCA). 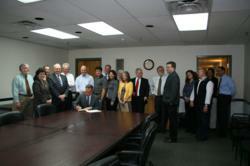 “It is critical that we are responsive to the industry, said Governor Peter Shumlin. Since 1981, when Vermont became a domicile, Governors and Legislatures have united in keeping us the gold standard for regulation of this industry and these proposals are in keeping with that tradition, he added. The proposed bill, H438, expands Vermonts captive laws, to include allowing cells within a sponsored cell captive to be formed as incorporated protected cells. Vermont currently allows protected cells created by contract alone. This presents another option for a cell owner in addition to cells created by contract alone, said David Provost, Deputy Commissioner of Vermonts Captive Insurance Division. Weve heard from the captive industry that they wanted the option of having incorporated cells. This legislation does just that, without limiting any rights or protections afforded by cells created by contract. Another component of the legislation will expand the potential types of companies that may be sponsors of cell structures. This change will address the perceived restrictions regarding whom may be a cell owner and will reinforce that the insurance commissioner will have full discretion in deciding who may be a sponsor, said Dan Towle, Vermonts Director of Financial Services. Another change has been proposed to create greater flexibility within cell structures. This change will eliminate the current restrictions on cell business. Business written by a sponsored captive will no longer be required to have it be fronted, reinsured or secured by a trust. This requirement will now be at the discretion of the commissioner. “Vermont will continue to license quality companies that may be sponsors of cell structures. Any company that continues to meet our regulatory standards may be a sponsor and companies will now have greater flexibility in their structures and their ownership, said Provost. Vermont currently has 18 sponsored cell captives with approximately 100 individual cells. Legislation passed by the 2011 session of the Vermont Legislature and signed into law by Governor Peter Shumlin expands Vermonts captive laws, to include allowing cells within a sponsored cell captive to be formed as incorporated protected cells. The bill was signed into law before a group of industry supporters on May 11. This bill is testimony to our commitment to keep pace with the changing needs of this industry, said Governor Peter Shumlin. I commend the Legislature for their hard work and commitment to keeping Vermont the gold standard for captive domiciles. Another change in the new captive insurance law creates greater flexibility within cell structures on business written by a sponsored captive and who can own a sponsored captive. These updates will allow more companies to domicile in Vermont and utilize the option of having incorporated cells. This is accomplished without limiting any rights or protections afforded by cells created by contract, said David Provost, Deputy Commissioner of Vermonts Captive Insurance Division. Cell owners will now have more options, said Dan Towle, Director of Financial Services. Vermont will continue to license quality companies that may be sponsors of cell structures as long as they meet our regulatory requirements. The new law offers greater flexibility in their structures and ownership. Vermont currently has 18 sponsored cell captives with over 100 individual cells. The bill also makes permanent the elimination of the first year minimum tax of $ 7,500 for newly licensed captives. It was a way for the Legislature and Governor to say thank you to an industry that has been so beneficial to Vermont, said Richard Smith, President of the Vermont Captive Insurance Association (VCIA). The VCIA was a strong supporter of this legislation and was a partner with the State in its passage. After a strong 2010 with the licensing of its 900th captive insurance company, the State of Vermont enacted these changes to the Captive Insurance law in the Legislature as part of its annual enhancements to its captive statute, according to the Department of Banking, Insurance, Securities and Health Care Administration (BISHCA). Vermont is off to its strongest start in years with nine captives licensed thus far with five applications in progress. Vermont is the largest captive insurance domicile in the U.S. and the third largest in the world, with $ 25 billion in gross written premium in 2010. Vermont is also home to captives formed by 42 of the companies that make up the Fortune 100, and 18 of the companies that make up the Dow 30 have Vermont captives. Captive insurance is a regulated form of self insurance that has been around since the 1960s, and has been a part of the Vermont insurance industry since 1981, when Vermont passed the Special Insurer Act. Captive insurance companies are formed by companies or groups of companies as a form of alternative insurance to better manage their own risk. Captives are typically used for corporate lines of insurance such as property, general liability, products liability, or professional liability. Growth sectors of the captive insurance industry include securitization, professional medical malpractice coverage for doctors and hospitals, and the continued trend of small and mid-sized companies forming captive insurance companies. A sponsored captive is a structure created by a sponsor (typically an insurance company or other financial institution) to house individual insurance arrangements called cells. Each cell is created by the insured party, who is usually a customer of the sponsor, to insure its own risk. Such programs are ideal for insured who want to explore the use of a captive without starting their own or to address a short-term insurance issue (captives are considered long-term solutions to long-term issues). In many cases, they serve as incubator space for new captive insurance companies, as the cell owner discovers the benefits of creating their own captive. An incorporated protected cell is a cell of a sponsored captive that is created under Vermonts corporation laws as a true corporation, as opposed to a cell that is created by contract. For more information on Vermonts captive industry, please visit http://www.VermontCaptive.com, call Dan Towle at 802-828-5232 or email at dan.towle(at)state(dot)vt.us.